"The last two decades have seen a rapid increase in biotechnological know-how and in the development of modern molecular biology. The yeast S. cerevisiae has played an essential part in the development of these technologies, and a tremendous amount of knowledge has been accumulated about this organism. The potential for significant scientific and technological breakthroughs, based on the application of our accumulated know-how of yeast molecular biology to wine-related problems, promises therefore benefits for wine producers and consumers alike. "However, the application of modern biotechnology, particularly in agriculture and food production, remains controversial. Countless reports on the topic have been published, and the arguments for and against the use of genetic modification, be they of an ethical, economic, environmental or otherwise scientific nature, have been made extensively in public debates. Most of these discussions have not been conducted in a rational environment, and have frequently been hijacked by particular interests. This situation, combined with the sometimes irresponsible political handling of sensitive, public health-related issues and a silent scientific community, has created a negative public perception of GM-technology, particularly in European countries. "The future application of this technology in the wine industry therefore hinges on a scientifically sound evaluation of the safety and of the potential environmental and economic impact of genetically modified organisms. This evaluation requires the study of complex interactions and ecosystems, and needs to assess a large number of interrelated parameters. It therefore has to integrate multidisciplinary approaches, and include ecologists, microbiol ogists, geneticists, biochemists and other scientists. It is probably due to the intrinsic complexity of the topic that few studies have been conducted to holistically assess the environmental impacts of microbial GMOs." 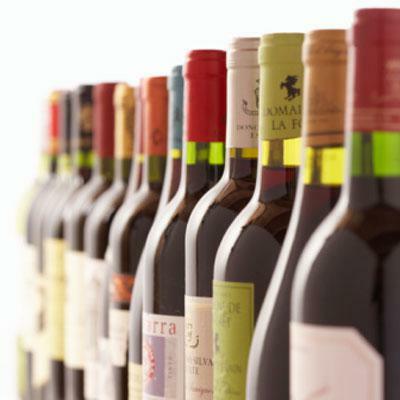 Genetically modified yeast has since then been used in the commercial production of wine in North America. If you are concerned about the adverse effects on your health that untested GMO's could cause then contact your favorite wine producer or do some research to confirm that they produce their wine responsibly and organically.